We're wholeheartedly and forever #teamgallerywall. They're just so charming and full of character! And while yes, the entire point of this design idea is to get creative and have fun with mixing and matching, there is one cardinal rule: Never use only two frame materials. In other words, encasing your art in the same two frame colors (e.g., black and white)—which will look neither cohesive nor curated, and instead, like a random afterthought. 1) Going the minimalist collection route? It's totally fine to stick to a single frame color. 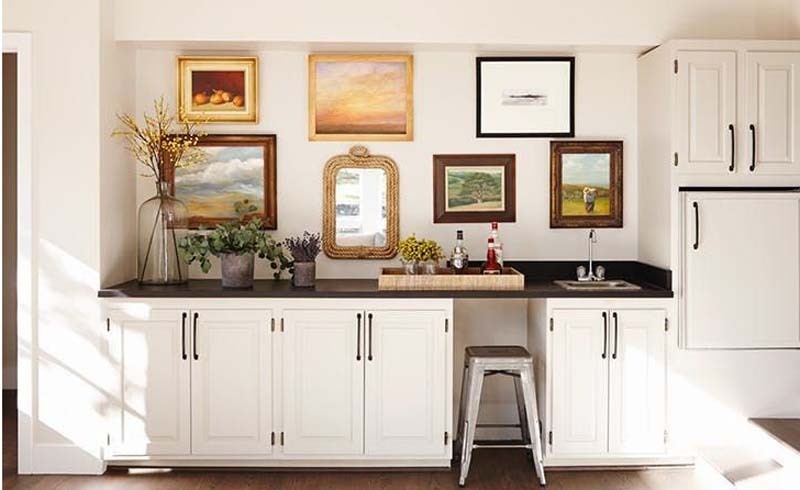 Personal photo gallery walls, for example, tend to look great in monotone framing. 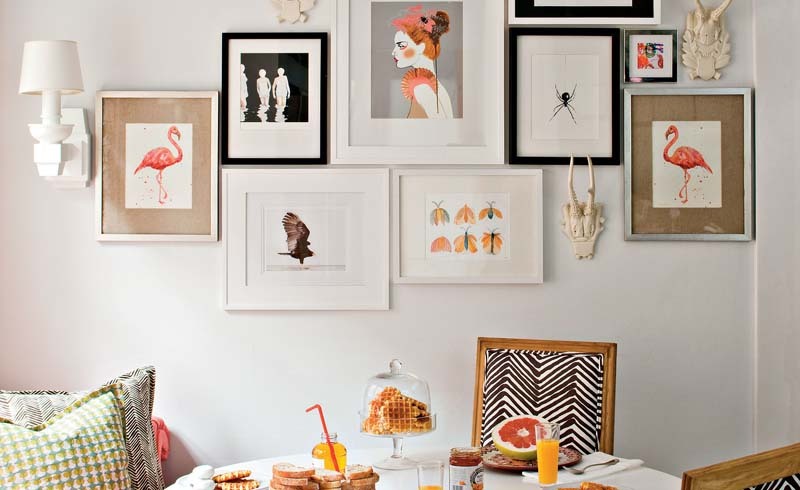 2) If you're going for the whole eclectic-chic, professionally-styled look (like the stunner by Cecy J. Interiors above), opt for lots of frames materials, so that you have four to five different textures and colors at play.